Not many astronomers or wildlife enthusiasts would set out to document their objects of interest with nothing more than the camera on their smartphone, but sometimes you come across an unmissable shot and your camera and telephoto lens are still in the car. 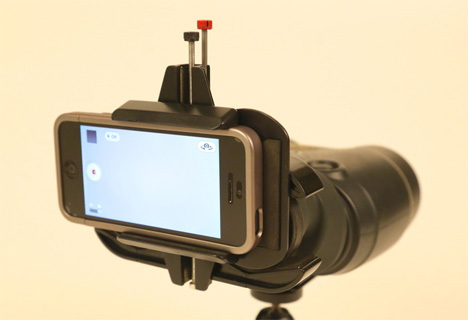 The Snapzoom is a cool device that lets you attach your smartphone to any single or double lens scope to get a close-up look with no fancy camera needed. 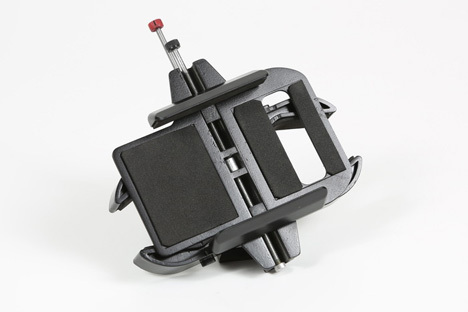 The Snapzoom is a universal mount that attaches your smartphone to your binoculars or telescope to give it a telephoto-type range. And although this isn’t the first device to offer this type of functionality, the really cool part of the Snapzoom is that it fits any scope and any smartphone, even if it’s outfitted with a case. 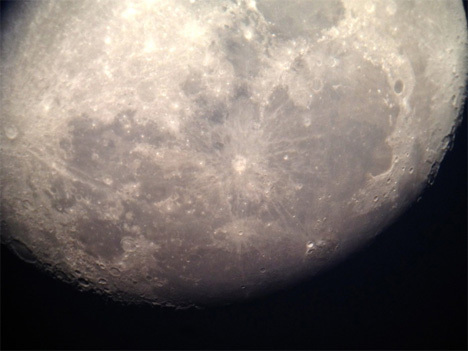 The incredible moon picture above was taken with a ’64 Questar Telescope, an iPhone 5 and a Snapzoom. Daniel Fujikake and Mac Nguyen, the Snapzoom inventors, are raising money for their awesome project on Kickstarter. In the fundraising phase, $60 will snag you your own (when the funding goal is met and the adapters go into manufacturing). Wait until they hit the mass market and you’ll be looking at a price tag of almost $80. See more in Camera & Video or under Gadgets. June, 2013.